The Field of Light art installation by internationally acclaimed artist Bruce Munro has been extended until 31 March 2018. 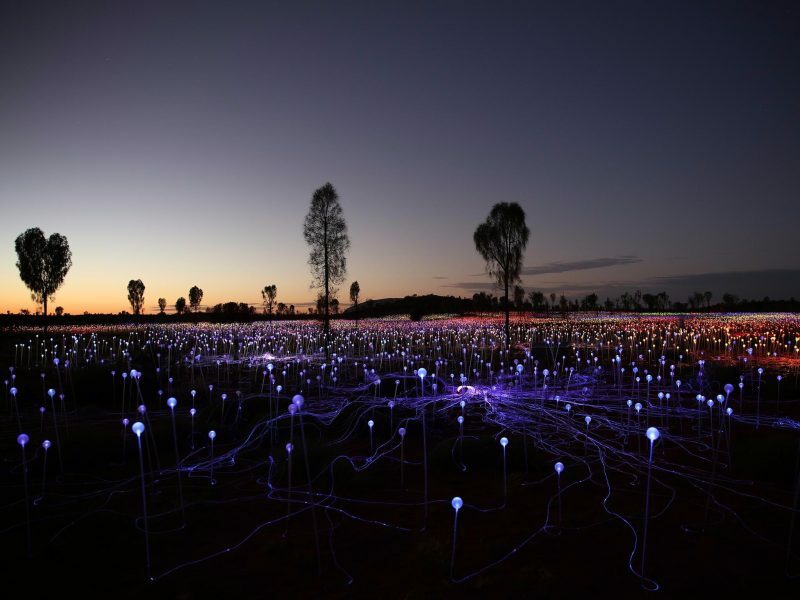 The largest Field of Light installation to date, more than 50,000 stems crowned with frosted-glass spheres will bloom. There are a number ways to experience the Field of Light art installation from the Field of Light entry pass to A Night at Field of Light by Heli. 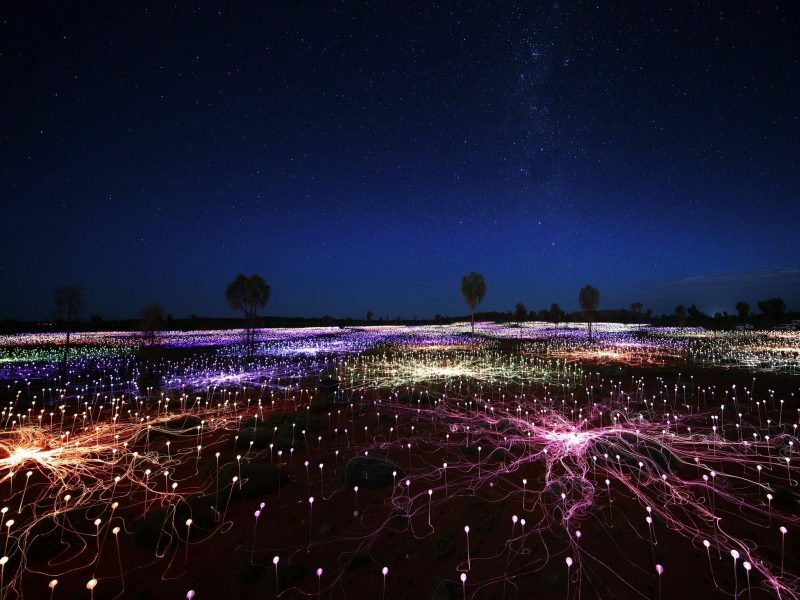 The Field of Light Pass begins with a convenient hotel pick-up and transfer to the remote desert location then a self-guided walk through Field of Light taking in the monumental light installation. 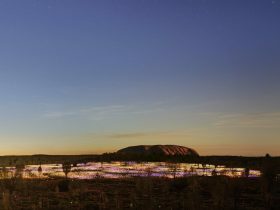 You will be welcomed at a raised viewing area to watch as the last sun rays hit Uluru as the sun slowly sets behind you. As darkness gradually falls and the coloured lights of the glass spheres come to life you will walk through Field of Light. Return to the raised viewing area 30 minutes prior to departure for sparkling wine and canapés whilst viewing the illuminated installation in the darkness. 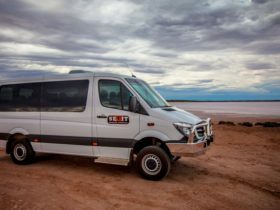 Coach transfers included from your accommodation. Not suitable for children aged 4 years and under. 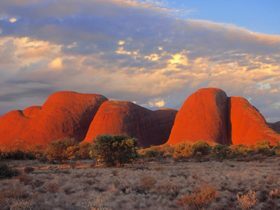 Take a ride on a friendly camel as you journey through the desert with Uluru and Kata Tjuta in the background. 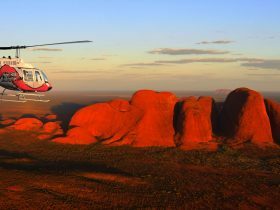 As your ride ends, you will be welcomed at a raised viewing area to watch as the last sun rays hit Uluru as the sun slowly sets behind you. As darkness gradually falls and the coloured lights of the glass spheres come to life you will walk through Field of Light. Return to the raised viewing area 30 minutes prior to departure for sparkling wine and canapés whilst viewing the illuminated installation in the darkness. 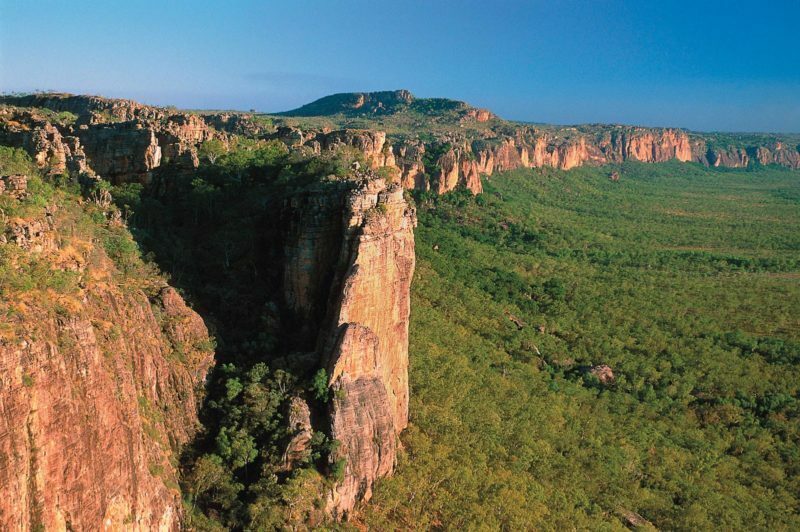 Coach transfers included from your accommodation. Not suitable for children aged 4 years and under. 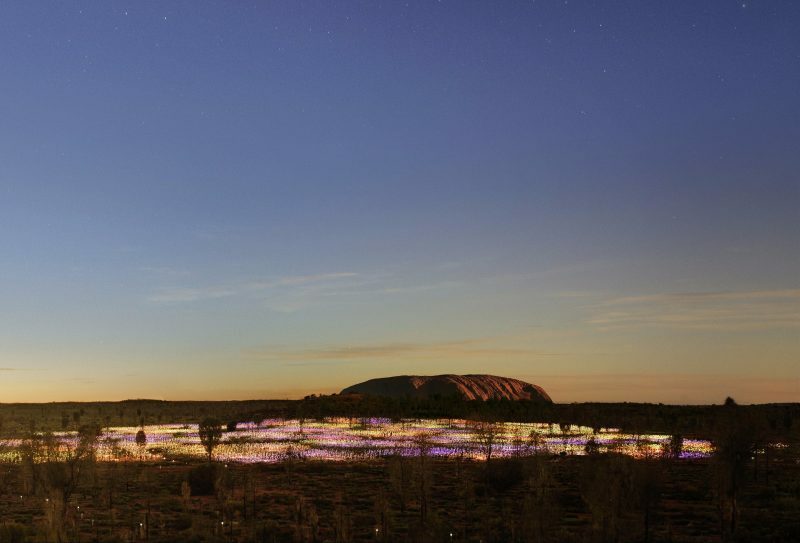 The Field of Light Sunrise experience begins with a hotel pick-up and short transfer to the exclusive desert location with majestic views of Uluru. Your driver/guide will provide commentary on the artist and installation en route. ‘A Night at Field of Light’ begins with a hotel pick-up and transfer to the remote desert location. 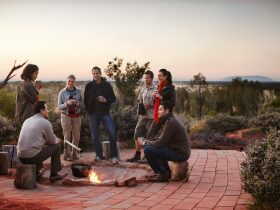 With Uluru as the backdrop, guests enjoy canapés and chilled sparkling wine to the sounds of a didgeridoo as the sun slowly sets. 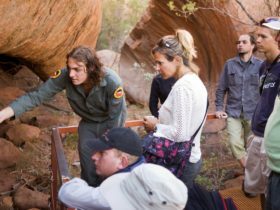 As darkness gradually falls and the coloured lights of the 50,000 glass spheres come to life guests are invited to join their fellow travellers at their dinner table for a special three-course bush tucker inspired buffet menu. A knowledgeable guide will provide insights and background to the monumental installation and guests are invited to immerse themselves and walk through Field of Light. After dinner guests are welcomed back at the dune viewing area to enjoy a sweet treat, hot chocolate or port whilst viewing the illuminated installation in the darkness.